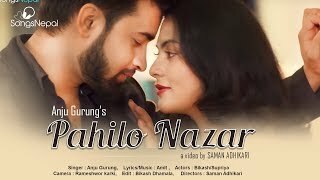 “Khaderi Thiyo” is a Nepali Romantic Pop Song by Devendra Rai and Anju Gurung. The Lyrics of the Nepali Pop song ‘Khaderi Thiyo’ is writtten by Ramnath Ghimire and the Music is composed by Devendra Rai. Rajan Ishan has done the Arrangement work of the song. The Models starring in the Music Video are Devendra Rai, Anju Gurung and Amit Thakuri. The Camera work of the Nepali Pop song ‘Khaderi Thiyo’ is done by Y.P Ghimire and the Editorial work is done by Anjay Khadka. Sahin Prajapati is the Choreographer. The Direction of the song is taken by Nabaraj Budhathoki.